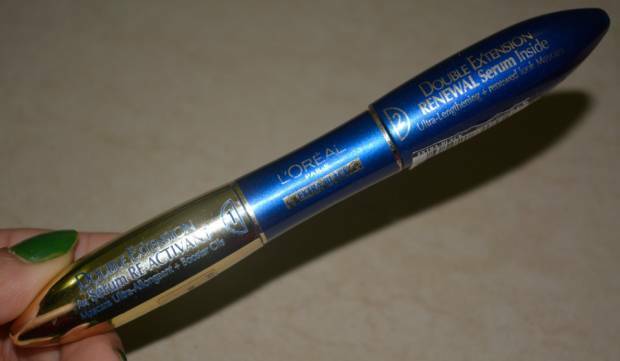 Hello Everyone, today I’ll be reviewing the L’oreal Double Extension Mascara Extra Black. Usage : Lengthens, Darkens and Thickens Eye Lashes. Gently move the brush on your lashes from the root to tip and you are done. Packaging : It comes in a blue and golden tube. In the middle there is a blue color rectangular connector that holds two brushes on either side and connected with two semi oval blue & golden tubes – golden one contains Au Serum Re-activant Mascara Ultra-Allongeant + Booster Cils and the blue one contains Renewal Serum Inside Ultra-Lenthening + renewed look Mascara. 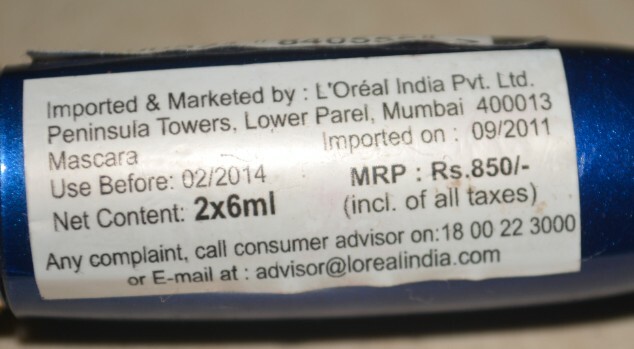 My Experience : I bought L’oreal Double Extension Mascara Extra Black from an online store for 7-8 months back. Since I’m not blessed with fuller eye lashes specially lower ones, I was looking for some lash booster mascara from quite long time. While wandering on some online store I found this mascara and bought it immediately as its packaging looked so cute that I couldn’t resist myself from buying it. 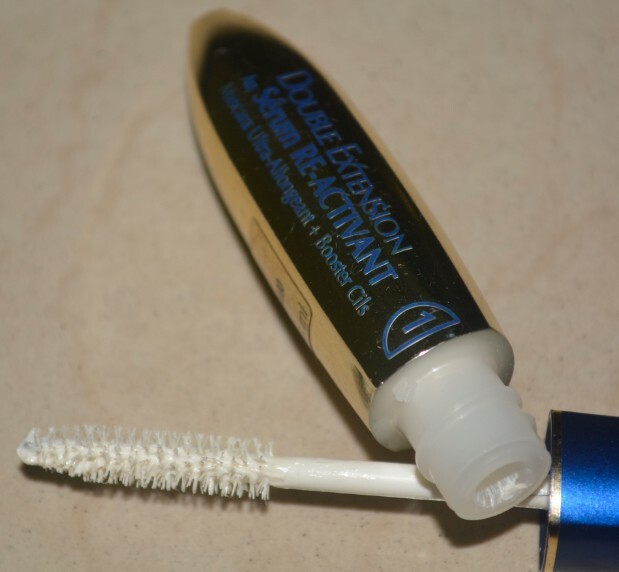 This mascara comes in a blue-golden tube with double extension brush, its one side contains white creamy serum that is used as eye lash booster and another side contains a regular black mascara. It takes just two simple steps to get fabulously thick, long, beautiful looking eye lashes. 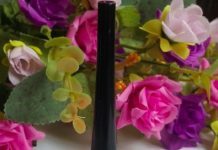 To start with apply white serum as the base coat and wait for about 10-15 seconds until it is just set and then apply the black mascara. Make sure you are starting with the root of your lashes and brushing up along out the ends of your eye lashes. 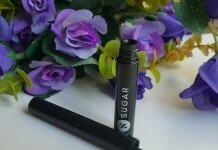 It might be time consuming but you are left with beautiful fuller and longer black lashes. 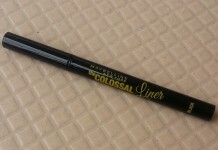 It doesn’t clump, flake and has a rich black color as well as it provides great extension to your eye lashes. It stays on all day and washes off very easily with regular face wash and no need for expensive eye makeup remover (but if you have one then use it). It has a little smell or is almost odourless. 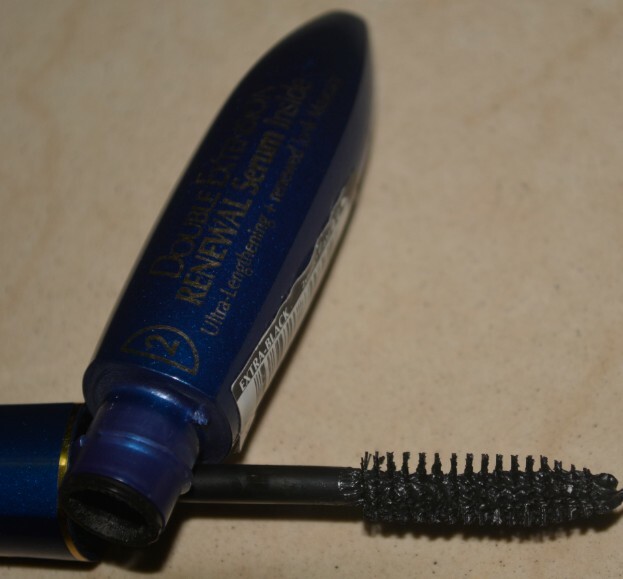 This mascara is not waterproof which according to me is the major drawback of this product. But all in all it is a good buy and justify to its claims up to certain extend. I hope you find this review helpful. Please give your valuable feedback and recommendations as comments below.